» Is ‘Voluntourism’ the Answer? This post is authored by Kirsten Huntley Goode, AVC Board of Advisors member. After graduating from university, I traveled to Moshi, Tanzania for a month of “voluntourism” at Kigongoni nursery school, and it absolutely changed my life for the better. My daily walk was past Martin’s house, and every day he ran up and walked hand in hand with me to school. My last day at Kigongoni was bittersweet. We sang and played just like all the other days, but the children knew that many of the volunteers were not coming back after that day. It broke my heart to see Martin run into the banana groves for the last time. After I finished my month of volunteering, I couldn’t help but think – did I really help Martin and his classmates? Or is the constant flux of western volunteers actually hindering their development and emotionally toying with them, as they build connections with mentors that will just walk out of their lives a short time later? It turns out I wasn’t the only one thinking that. 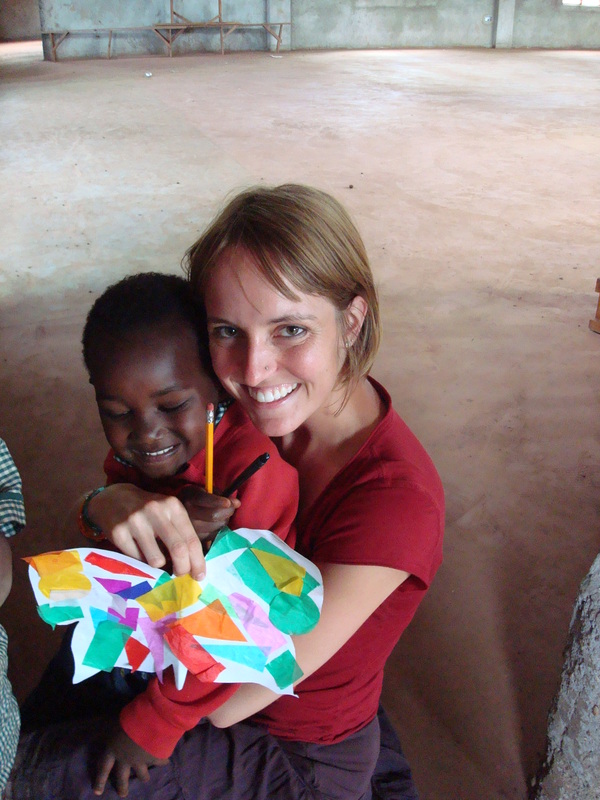 After she volunteered in a women’s group at the same time, Caitlin Kelley started her own organization, Africa Volunteer Corps, to address a problem that many of the volunteers recognized. AVC Volunteers work for a full year in local grassroots organizations, where they understand the culture and needs of their community, because they are members of the same community. By placing local volunteers in their own community for an actionable amount of time, AVC is sure to create lasting change and development without the constant flux of resources that foreign volunteers may bring. For example, Pauline Leo holds discussion groups for women to talk about challenges they are facing and how to solve them. A common challenge is that many women are pressured to marry at a young age. Pauline grew up in Tanzania and understands where these pressures stem from, teaching the women the value of having a life independent from their husband’s and the value of being financially stable. In this case, a volunteer from the West couldn’t have the same impact on women in Tanzania because these challenges have not affected them. I’m thrilled to be a part of this great organization as a volunteer treasurer and board member, where I design and manage financial statements as well as spread the good word through my community. I support AVC because it is founded on a simple idea which has monumental growth – I know the potential we can unleash with the help of a supportive network, which is exactly what we are creating. AVC is opening doors to help Africans use their resources to help themselves. We need your investment to support this positive social change in Tanzania. We are trying to raise $20,000 for the class of 2015 volunteers. Your money will not only go to fund the development of a volunteer, it will help all of the people with whom they work, today and in the future – and ultimately this positive change will ripple through their community, country and hopefully the continent. Will you donate to help make the world a better place, so that Martin can grow up with the stability of a community which is self-sustaining?